The Pink Boots Society at Rock Bottom. 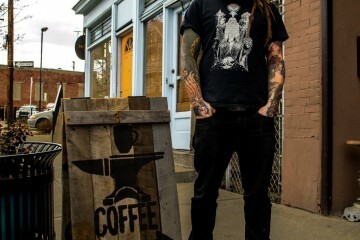 Photo by Devon Murdoch. I like house-made charcuterie and seared scallop entrees as much as the next person. But sometimes, nothing beats the comfort of no-frills, nostalgic food. My recent lunch at Breakfast at Shelly’s, a new Allentown eatery, brought me back to the old-school diner meals of my New Jersey youth. Breakfast at Shelly’s has deep diner roots. Co-owner Shelly Moeller is the daughter of Cheryl O’Leary, the owner of South Side staple O’Leary’s. When the former home of Allentown’s Michelle’s Diner became available, Moeller and her partner Sean Coley pounced. Though the new diner aims to improve on the classic diner blueprint, Moeller and Coley are making sure that Shelly’s keeps hospitality at the core of everything they do. “My mom’s business is well known for its homey feel and friendly environment,” explains Moeller in a press release. “We know our customers by their first name and we hope to bring that same feel to our business in Allentown.” When I visited, the new business was still finding its footing, and servers were getting acclimated with the sizeable menu. But it was clear that Breakfast at Shelly’s could quickly become a go-to neighborhood spot, welcoming its customers with warm, hearty food and friendly service. The menu at Shelly’s brims with staples of the American diner landscape. From gyros to Reubens to breakfast combos, Breakfast at Shelly’s ensures that anyone who finds themselves in Allentown can get a satisfying and affordable meal. Unlike many diners, which often cut corners on quality, Shelly’s balances good ingredients with affordable prices. My club sandwich, the most humble of diner lunches, was made with real bacon, well-toasted bread and crunchy lettuce. Breakfast at Shelly’s is now open for business. Head to their Facebook page for more info. And check out why Black Forge Coffee House’s Nick Miller picked “breakfast-dinner” at Shelly’s as the best meal he at last week. When it comes to selection, American beer drinkers have more variety available to them than ever before. When it comes to the people brewing and chattering about that beer, the scene can feel a bit homogeneous, as craft beer often seems awfully dude-heavy (I know, I’m part of the problem). The Pink Boots Society exists to remind everyone that women are a key part of craft beer and to make sure women in the industry are well represented. 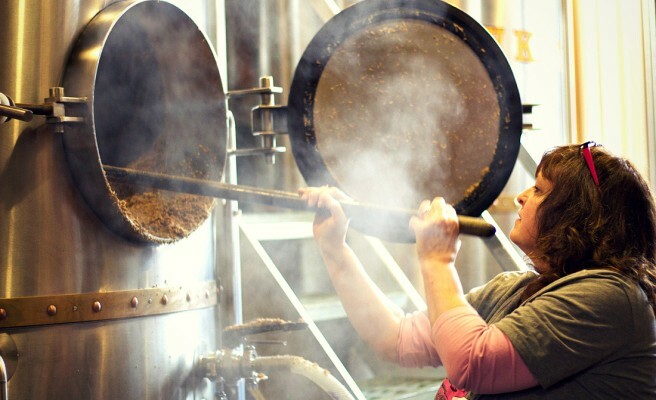 Every year, on or around International Women’s Day, the Pink Boots Society holds their International Women’s Collaboration Brew Day (aka Big Boots Brew Day). The day is a chance for PBS members to get together, raise money for their organization, and brew a great beer. Chapters around the world convene to brew variations of a single recipe, then donate the proceeds from the resulting beer back to the Pink Boots Society. This year, the Pink Boots Society of Western PA chapter created a twist on a gose, a traditional German style that has enjoyed a recent revival in popularity. A gose is tart and crisp, with little to no hop bitterness and a low ABV. The beer is distinguished from other sour beers by the presence of salt, which adds a unique sharpness to the brew. For their version, the members of the local PBS chapter gathered at Homestead’s Rock Bottom Restaurant and Brewery earlier this month to create a margarita-inspired twist on the German beer. Lime and spice were incorporated, a natural pairing with the gose’s coriander and salt notes. The Big Boots Brew Day gose will be released at Rock Bottom on March 30th, then will make appearances on several other local tap lists throughout April. Find all the locations at the Pink Boots Society of Western PA website. For almost everyone in Pittsburgh, fish fry season ended on Good Friday. Lucky for us, Keep Pittsburgh Fishy adheres to its own calendar. This Friday, the organization returns to Spirit in Lawrenceville to fry up fish for a very good cause. Started as a small home gathering, Keep Pittsburgh Fishy has grown into a full-fledged fish fry, attracting huge crowds to last year’s event. This year promises to be even bigger and better. Returning to bar/pizza parlor/event hall Spirit, this season’s edition is dubbed Fry Another Day. Coming after Lent isn’t the only way it will differ from a traditional fish fry. For one, the event is completely secular, with no religious affiliations of any sort. And while the food will have all the elements of a classic fish fry, Fry Another Day promises some unique twists. Spirit will provide cornmeal crusted tilapia sandwiches with a Sriracha mayo sauce, as well as beet sandwiches for vegetarians. To accompany the fish, Apteka is bringing a vegan horseradish slaw and the Vandal will dish out homemade mac and cheese. The sandwich and two sides will cost $10, and a portion of those proceeds will go to Dreams of Hope. Founded in 2003, Dreams of Hope is Pittsburgh’s only arts-focused organization for queer and allied youth. Their mission is to use the power of the arts to “provide the region’s lesbian, gay, bisexual, trans*, queer, and allied (LGBTQA) youth a welcoming environment to grow in confidence, express themselves and develop as leaders.” They work towards this goal through a variety of programs, including a summer arts camp, a performance ensemble and an open stage program. Fry Another Day will take place on Friday, April 1st, from 5 to 9:30 p.m. at Spirit in Lawrenceville. In addition to the fish fry, bar beverages and desserts will be available for purchase. There will also be DJs, kid-friendly activities and a photo booth to add to the fun. The event is cash-only. Learn more over at the Fry Another Day Facebook page.